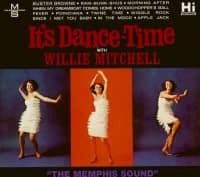 Booker T. & The MG's weren't the only skin-tight groovemakers in Memphis. 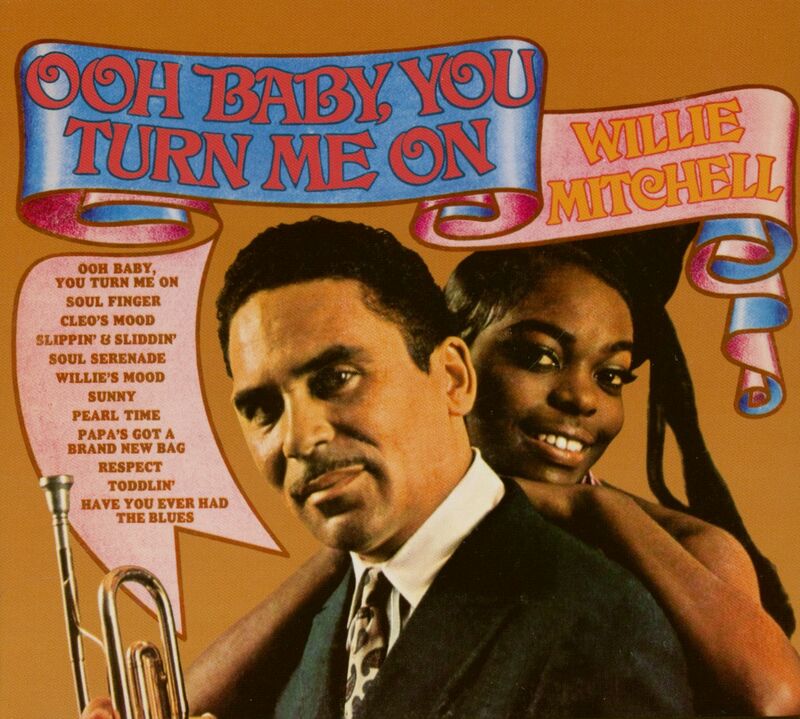 Trumpeter Willie Mitchell's outfit was settled in at Joe Cuoghi's nearby Hi Records, and they were just as adept at turning out hit instrumentals as the MG's at Stax. Mitchell had been one of the Bluff City's leading bandleaders for a decade. Born March 1, 1928 in Ashland, Mississippi, his family moved to Memphis when he was two. At eight, he began blowing his horn, and in his late teens, Willie assembled a 10-piece band. "We used to go out all over the country and get stranded!" laughs Mitchell. After two years in the Army, Willie came home and played in the bands of Tuff Green and Al Jackson, Sr. before doing his own thing. "I formed my band in 1954, started playing clubs around Memphis," he says. "I was like the number one band within a radius of 5-600 miles." Willie's influential combo held sway at such local hotspots as the Plantation Inn, the Manhattan Club, and Danny's Club. 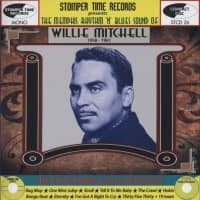 Mitchell debuted under his own name on wax in '57 on the tiny House of Sound imprint, and he cut the sinuous instrumental The Crawl for his manager Eddie Bond's Stomper Time logo. "We done 'The Crawl' in 1959, and it became a baby hit around here," he says. "So when I came to Hi, they wanted the record." 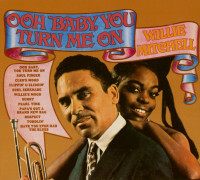 In between, Willie joined Reuben Cherry's Home of the Blues logo as artist and producer. He arrived at Hi in 1961, a label knee-deep in instrumentals by The Bill Black Combo and Ace Cannon. Mitchell's early Hi band was an integrated bunch: MG's drummer Al Jackson, Jr. and pianist Joe Hall hailed from his combo and Willie's brother James was often on sax; guitarist Reggie Young and keyboardist Bobby Emmons were young white players. 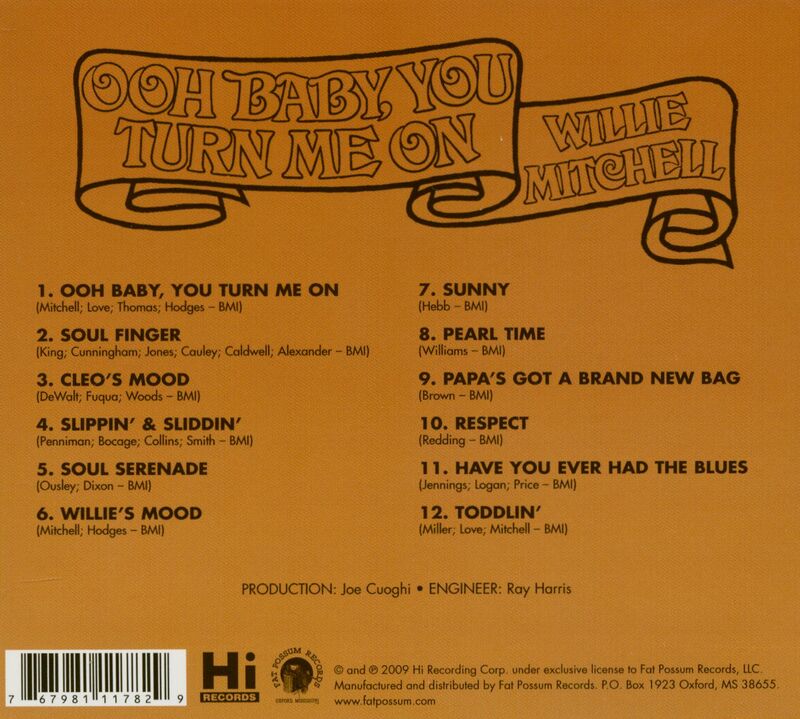 Mitchell hit paydirt with 20-75, a #31 pop seller. "We couldn't find a title for it, so Joe Cuoghi said, 'The next record, I'm gonna use 2075. We'll name it '20-75.'' It was the record number," says Mitchell. "I liked the song, because the rhythm had changed so much. The rhythm we came up with, it went international. That helped a whole lot of people, because me and Al came up with the rhythm. We heard some bands down in Miami when we were working down there. We heard some bands, so we came between the lines." 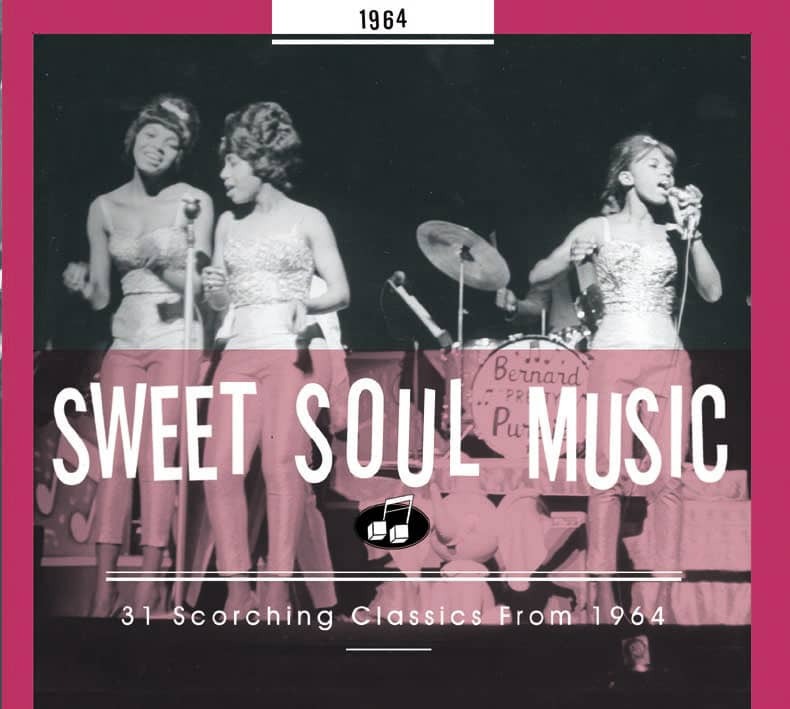 Former Sun rockabilly Ray Harris was Hi's recording engineer.Mitchell became Hi's top producer as the decade unfolded, his '70s run with Al Green nothing short of astonishing. You'll still find Willie at Royal Recording Studios on South Lauderdale, the same facility where he helmed so many Memphis soul classics by Green, Ann Peebles, Otis Clay, and Syl Johnson. Kundenbewertungen für "Ooh Baby, You Turn Me On (CD)"